The ultimate in self-expression, each of these little luxuries has been selected because it resonates on a personal level, capturing someone’s spirit and style. Find the perfect match for each of the nine personalities identified right here. The perfectly imperfect display of different-sized, delicate pear-shaped tourmaline cabochons reflects the handcrafted nature of this stunning design. Brooklyn-based artist Judy Geib surrounds each stone with substantial, satin-finished 22k and 18k yellow gold frames, lending a heritage-like feel to her work. A little edge, a little sparkle, and a lot of substance. 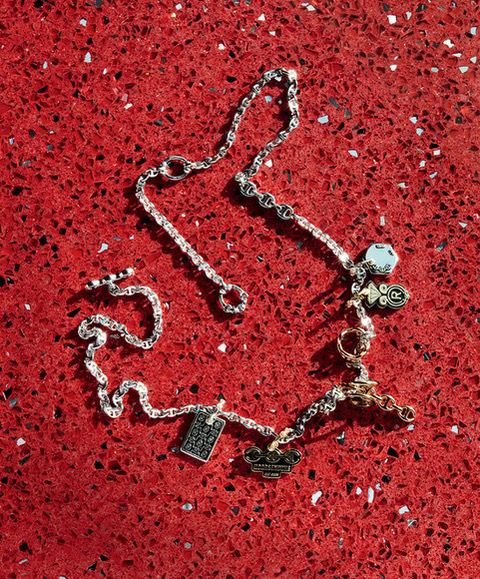 The Los Angeles label specializes in crafting jewelry with its signature tri-link motif symbolizing strength, quality, and continuous opulence. 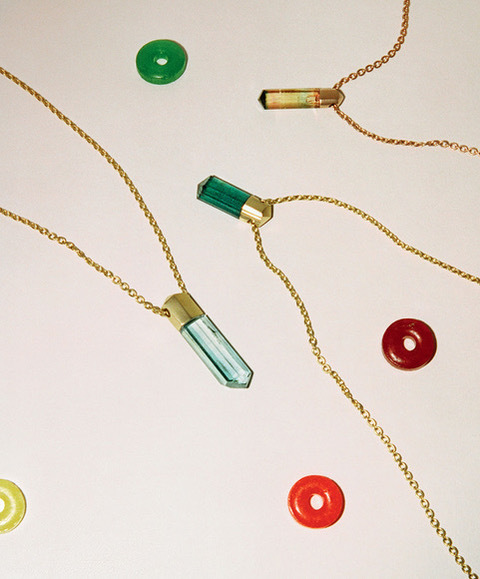 The utilitarian pieces are designed by photographer-turned-jeweler Robert Keith and his partner, Kether Parker. You can feel Los Angeles sculptor Samira Sizdahkhani’s passion for nature and its inspired motifs in this delicate design. 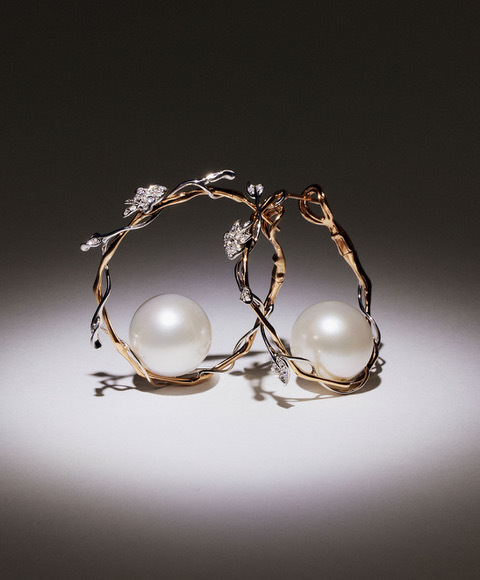 Featuring rose gold hoops intertwined with white gold diamond-embellished vines, this pair puts the full focus on the large white South Sea pearl nestled in the interior of each hoop. Sevan Bicakci painstakingly intaglio-carves the details of this piece into the faceted oval citrine is more magic than art. 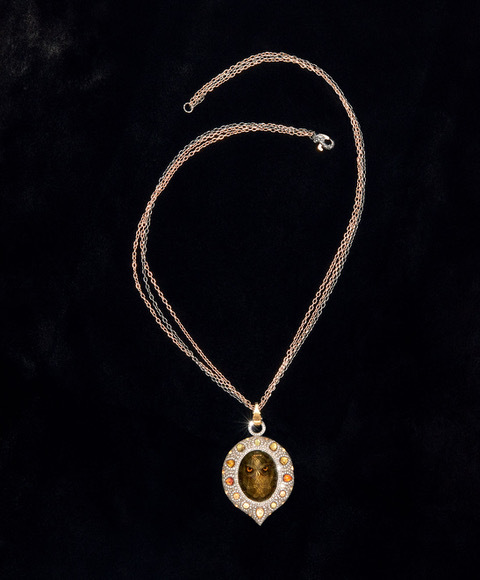 Bordered by pavé brown and white diamonds and round and pear-shaped orange and yellow sapphires, the exquisite pendant showcases the truly one-of-a-kind talent of the Turkish jeweler. This architecturally stunning piece blends elements of modern and vintage design while stripping away unnecessary distractions. 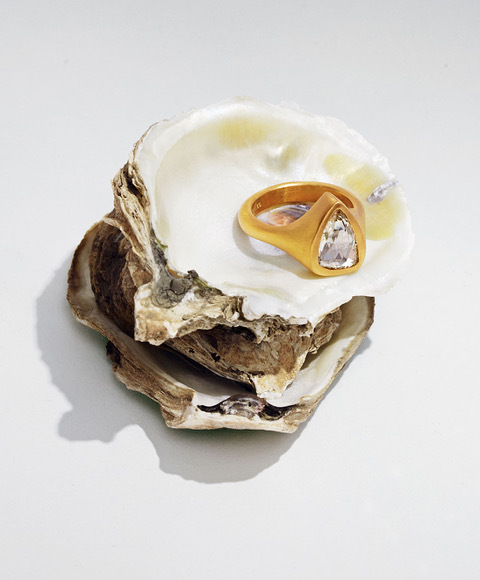 Handcrafted in New York City, the dazzling ring features a triangular 2.65-carat rose-cut white diamond in a satin-finished 22k yellow gold base. 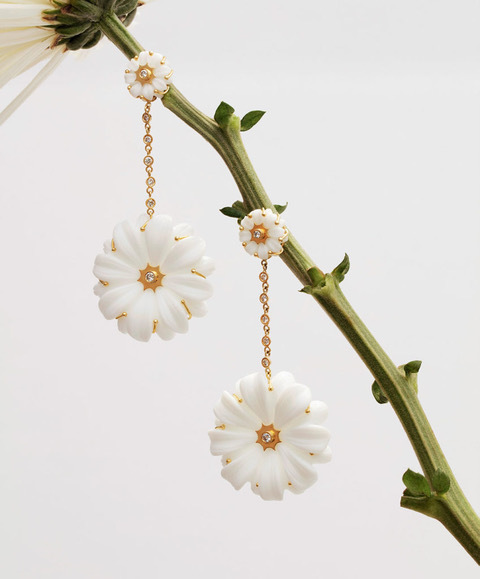 The whimsical nature of this innocent design belies the serious artisanal skills of New York City jeweler Brent Neale, who expertly shapes white agates and white diamonds into the childlike wildflower design. 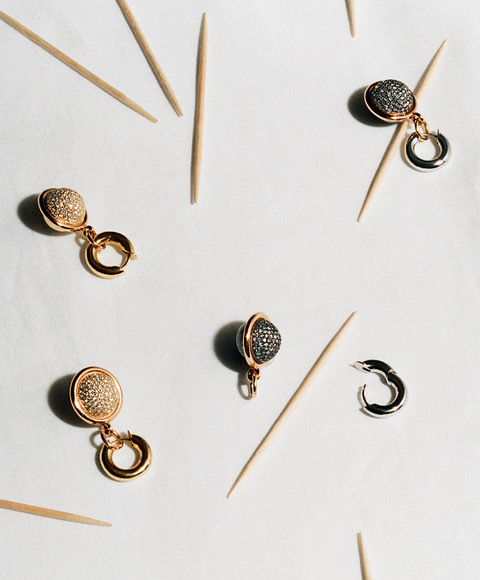 A true two-in-one set with streamlined 18k gold hoops that complete any travel outfit, plus attachable yellow and rose gold spherical drops embellished with pavé white diamonds that bring glamour to your look as soon as wheels hit the tarmac. This glittering pair reflects the architectural inspiration of designer Yves Spinelli and artist Dwyer Kilcollin. 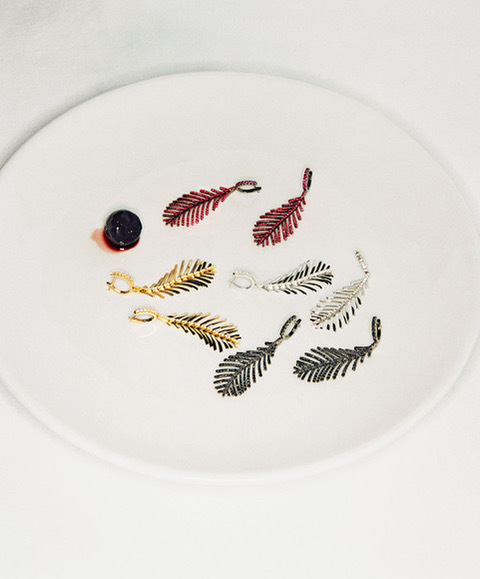 Delicate yet dramatic, these feather-style danglers add sparkle and intrigue with their flexible links that resemble a moving feather. Crafted of 18k white gold and embellished with pavé diamonds, this eye-catching pair shimmers as it refracts the light. 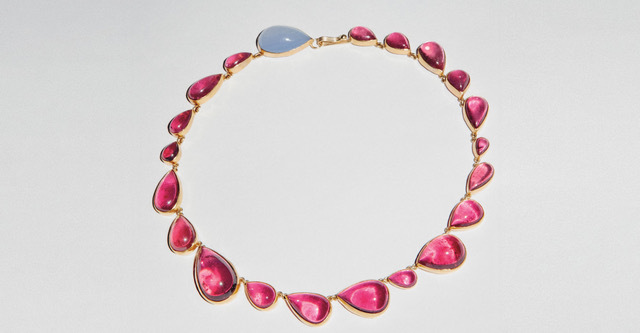 The rich hues of these geometrically cut stones reflect the Los Angeles–based jeweler’s passion for the ocean. Often working in blues and greens, Neuwirth threads these amulets through an 18k rose gold cable chain.